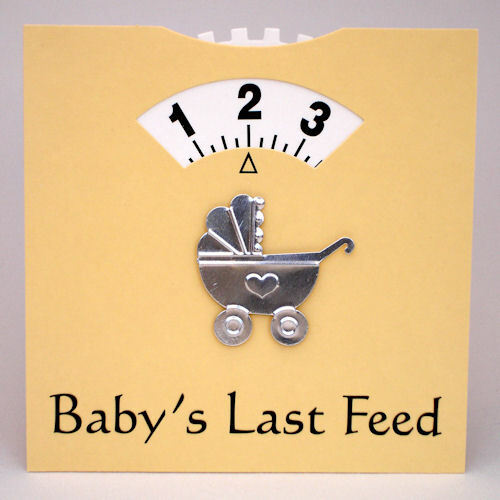 "A gift and card all rolled up into one and super useful for tired new parents to keep track of when baby was last fed." 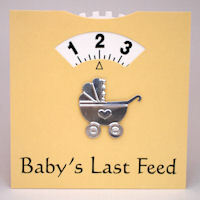 The Baby Feed Wheel is also the perfect congratulations card to send to family and friends expecting or celebrating their new baby's arrival. A really helpful present to receive on the birth of a new baby, the Baby Feed Wheel also makes a lovely maternity or "leaving to have a baby" gift. 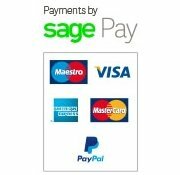 Your personalised gift message will be printed on the reverse of the card.